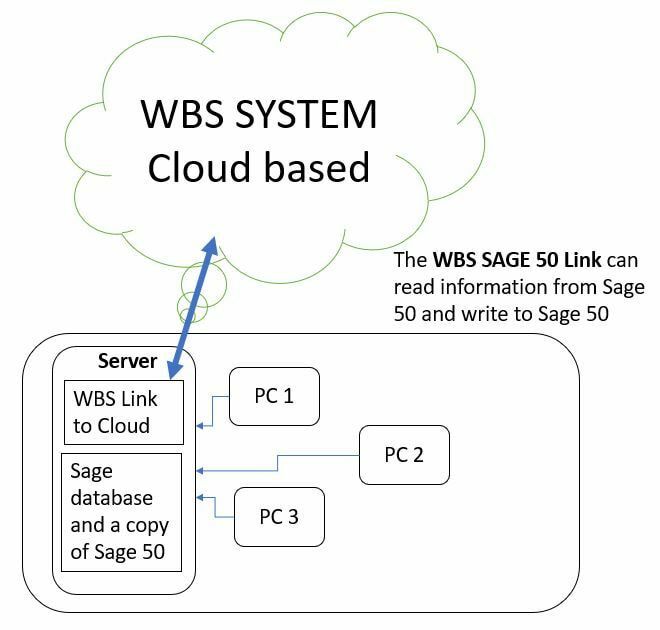 The WBS system using the WBS Sage link to both read and write data to sage 50. Typically a warehouse Sage 50 link would use WBS to manage Sales,Purchases ,stock ( multiple locations), Batch control and many other features then when goods are dispatched in WBS (possibly using barcode scanning to speed up dispatch and improve accuracy) sent the final invoice to sage 50 for payment. Here we normally read customers from Sage so we can see credit information etc. ​There are two typical solutions for manufacturing companies the use WBS linked to Sage 50. Leave the Sales, Purchases, Dispatch and Stock control in Sage 50 and let WBS take care of all the manufacturing processes such as Bills of Material product costing, routings job tracking (possibly with barcodes or tablets), job costing and when stock is used or finished product made simply update sage with a stock adjustment, cost and a reason ie used or made by Manufacture Order 1234. Another option for manufacture is to use all the features of WBS and pass the dispatch invoice only back to sage for payment. IE Use the full Sales , Purchases, Stock control (possibly at multiple locations and batch control ) plus the full manufacturing process which includes Bills of Material product costing, routings job tracking (possibly with barcodes or tablets), job costing and much more.